Teamsters Local 174, which represents the 400 bus drivers, said it was announcing the strike early to give Seattle families time to make other transportation arrangements. 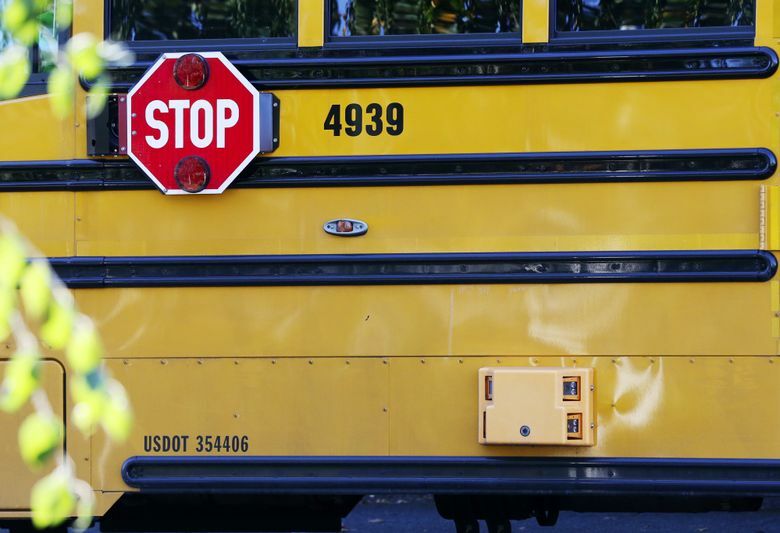 Seattle school-bus drivers will strike for one day Wednesday, leaving about 12,000 students without yellow-bus service to get to school. Teamsters Local 174, the union that represents the district’s 400 bus drivers, says bus service will resume Thursday, though its leaders said they could call for a longer strike if a deal isn’t reached with First Student, the bus contractor for Seattle’s public schools. Schools will be open Wednesday, sticking to their regular schedules, and the district is encouraging families that use yellow-bus service to find other ways to get their children to school. Students who miss school, under state law, will receive an unexcused absence, but they may make up classwork, homework and tests if their teacher approves. The one-day strike comes six weeks after the bus drivers first authorized a strike against First Student. The drivers want more affordable health benefits and a stronger retirement plan, benefits they say the company last year promised to address this year. Union, district and city leaders have urged First Student to work toward an agreement to avoid a strike, and the school district has threatened to seek damages of $1.2 million per day. First Student has faulted the union, saying it deserves blame for not accepting First Student’s offers. And some frustrated parents have criticized the district for not arranging for alternate bus service in case of a strike. They included parent Shawna Murphy, who said she plans to pay neighbors to drive her two daughters to Louisa Boren STEM K-8 Wednesday, but she still supports the strike. “These are low-wage workers who live paycheck to paycheck, and their job is so important. I’m trusting them with my children’s lives,” said Murphy, who lives in South Park. Ohio-based First Student is disappointed that the union chose to strike, said Chris Kemper, senior director of corporate communications. “We know what a hardship this interruption is to the families who rely on our service,” Kemper said in a prepared statement. First Student contracts with at least a dozen school districts in Washington and 1,100 districts nationwide. The talks started in June, and the last meeting was Nov. 15, Fleming said. First Student is in the first year of a three-year contract with Seattle Public Schools that’s worth at least $27 million a year. The district provides bus service to many elementary- and middle-school students, and for students who require transportation as part of special-education services. High-school students who live more than two miles from their schools receive cards to ride public transportation. During labor discussions last year, the union said, First Student promised to negotiate driver benefits. At the time, the contractor increased its entry-level wage for bus drivers to $18 per hour but didn’t extend health-care benefits to any driver who works less than 30 hours per week. Last year, the Seattle School Board considered offering health-care benefits to drivers who work 20-29 hours per week but decided against that because of the cost, estimated at $1.7 million a year. In 2014, the union threatened to go on strike over sick leave and health care, but the two sides reached an agreement before that happened. When First Student’s latest contract expired in August, the school district sought proposals from other contractors. First Student was the only one to respond.